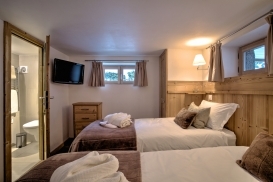 5 bedrooms (twin or superking) all ensuite, with flat screen satellite TV's in each room, 3 bedrooms have blue ray players. There is a large open plan living, dining and kitchen area. The dining room table extends to accommodate 12 people. The lounge has an open log fireplace, flatscreen TV, blue ray surround sound system and Wi-Fi. 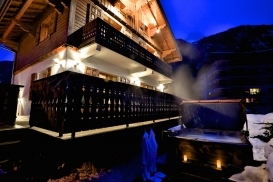 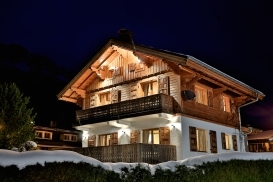 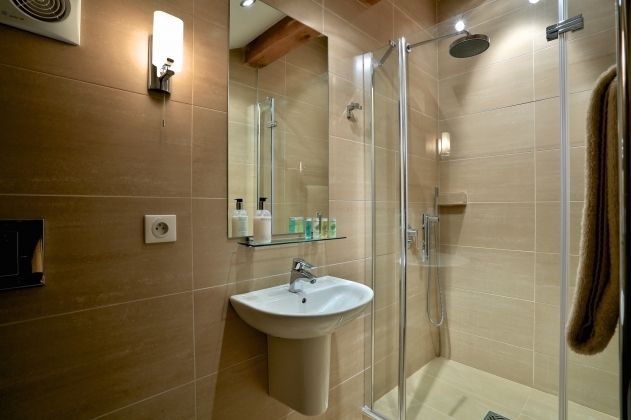 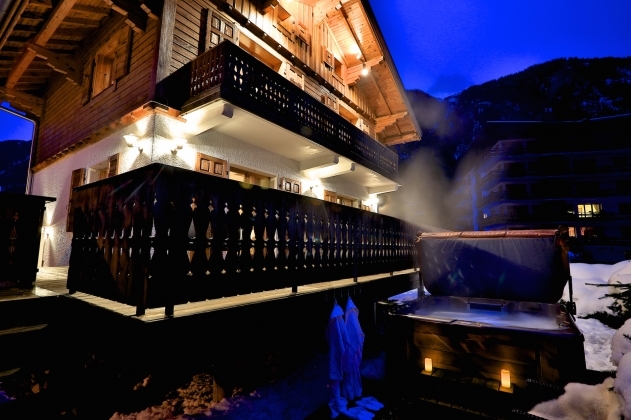 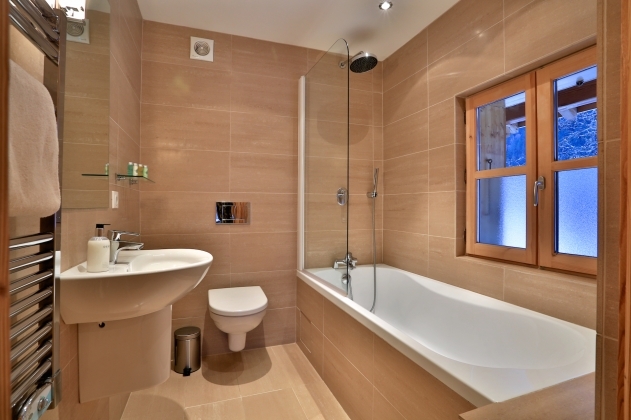 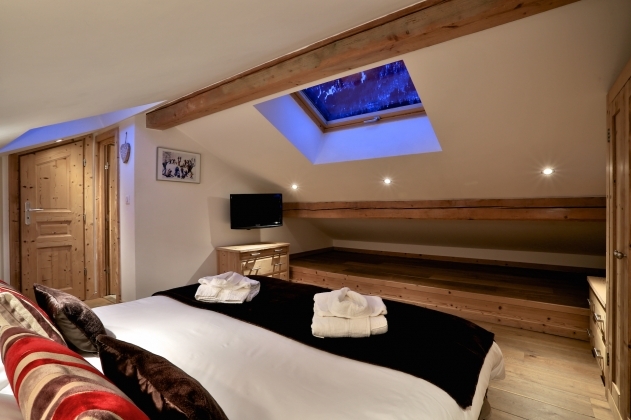 The chalet has a heated ski boot room, large terrace and outdoor hot tub. 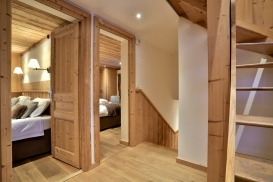 Two rooms are large enough for 3 guests. 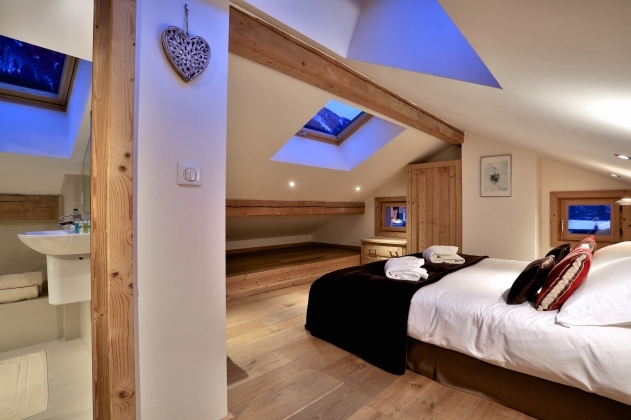 Delux aero beds can be supplied to convert these rooms to triples if requested. Located in the traditional La Frasse area of Chamonix town, it is within walking distance of the nursery slopes, which include green, blue and red runs. Other ski lifts within Chamonix town access the ski areas of Brevant and Flegere. 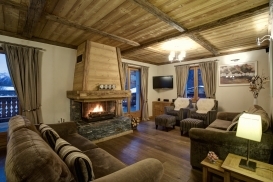 Less than a 2 minute walk away from the chalet is a ski bus stop which provides access to all ski areas in the Chamonix Valley. 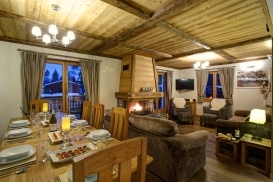 It is a 5 minute walk to the Market Square, bars and restaurants, swimming pool, ice skating rink and cross country skiing. 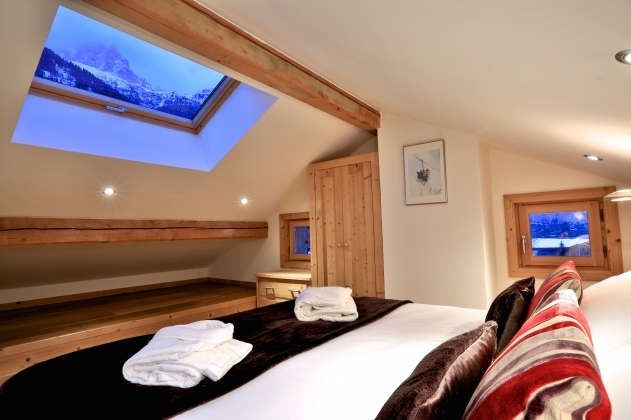 Click for Prices and Availability for Chalet Inuit now. 5 bedrooms (twin or superking) all ensuite, with HD satellite TV's in each room, 3 bedrooms have blue ray players. 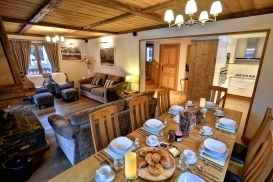 Open log fireplace, flatscreen Satellite TV, blue ray surround sound system and broadband Wi-Fi. 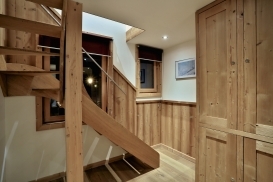 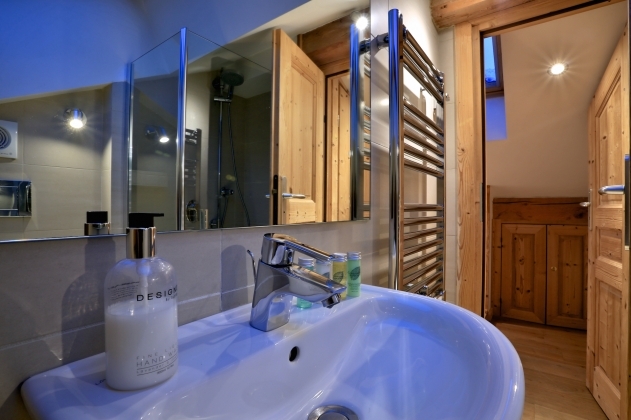 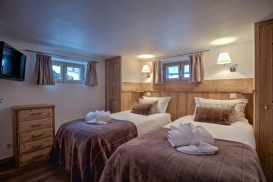 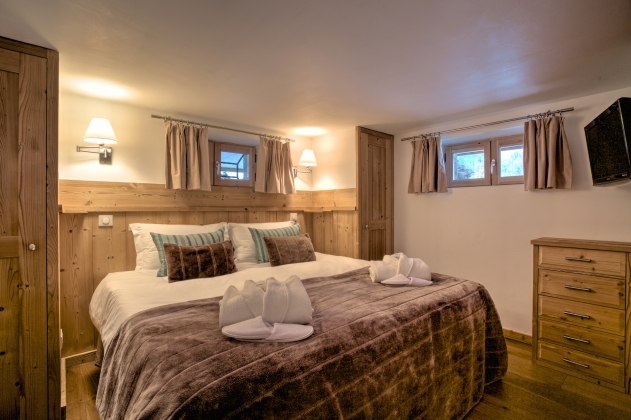 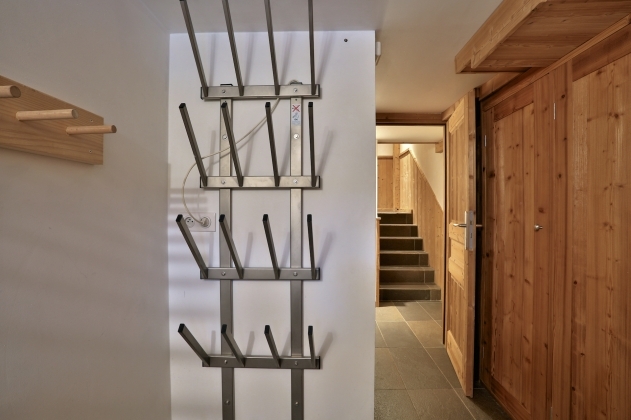 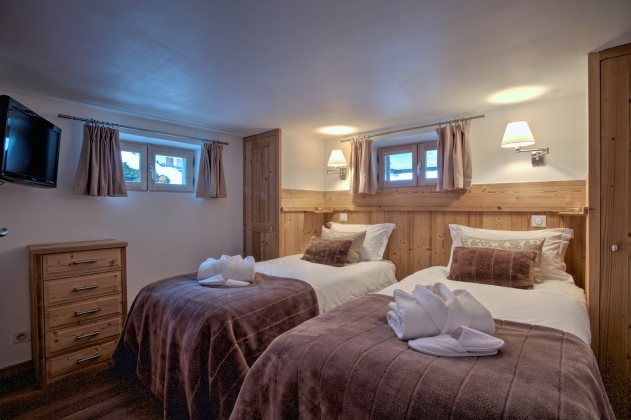 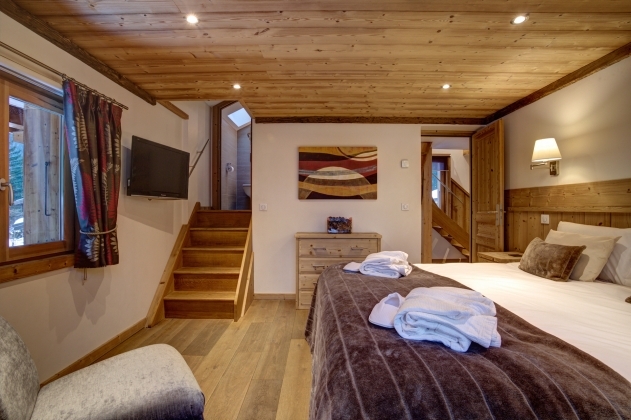 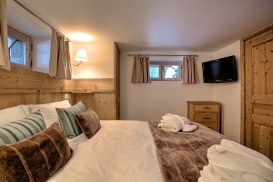 The chalet has a heated ski boot room, large south facing terrace and outdoor hot tub. 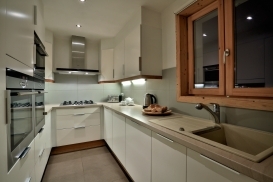 The fully featured kitchen has two full size ovens, freezer, larder fridge, microwave, dishwasher and nespresso coffee machine. 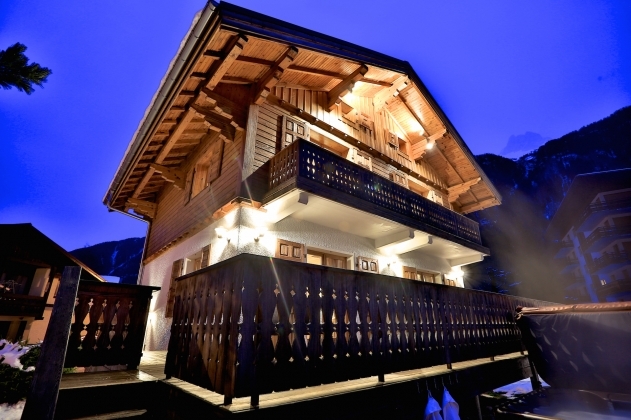 Please contact us or make an enquiry to discuss any details of the holidays in this wonderful chalet. 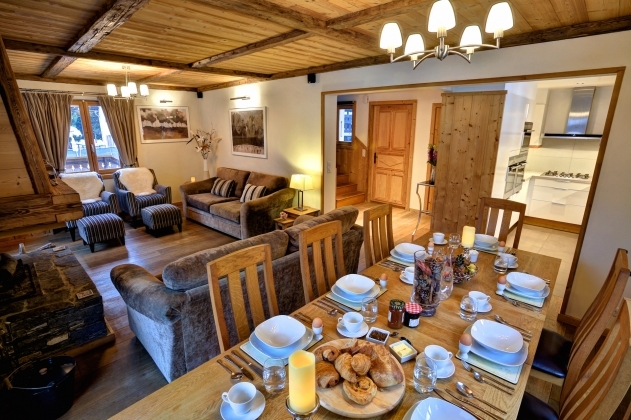 Lovely Chamonix Ski Chalet with hot tub, log fire and a lot of charm and comfortably sleeps 10 guests. 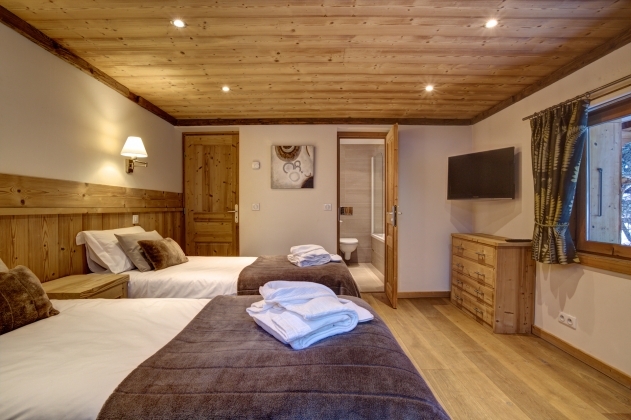 The chalet is in La Frasse just 5-10 minutes walk to the center of Chamonix village.